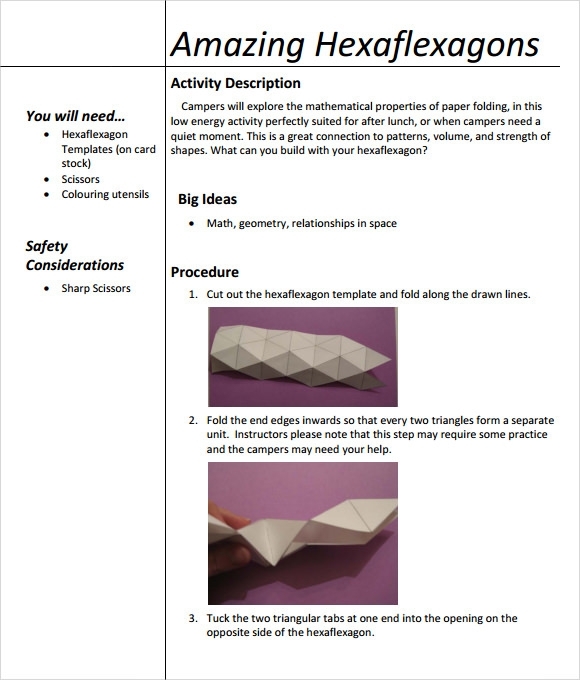 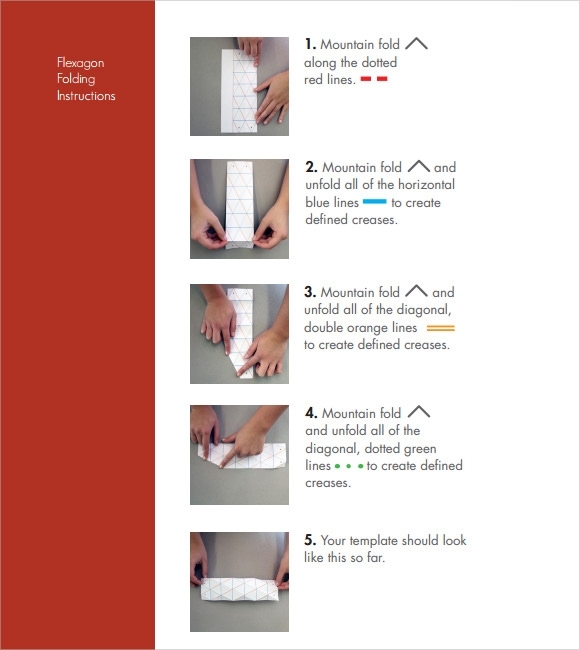 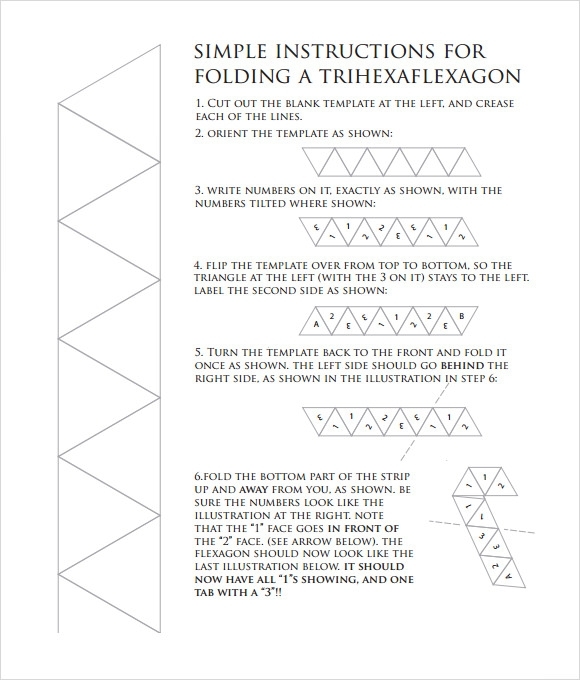 Making a Hexaflexagon toy with Paper Craft Templates can be fun but a little tricky. 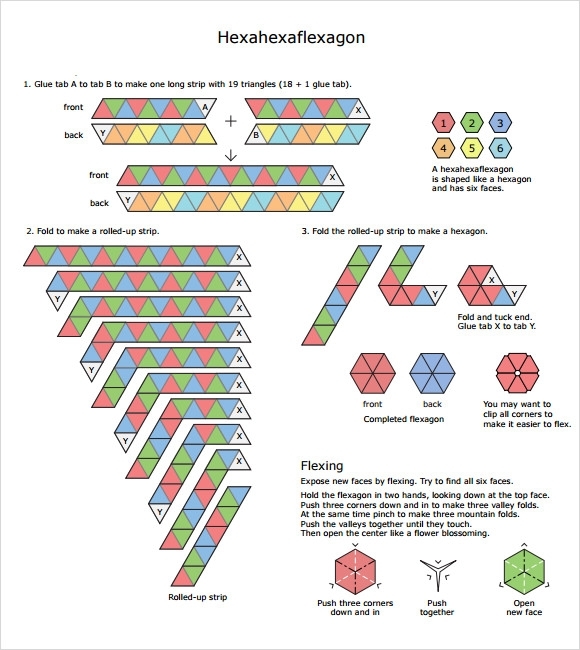 So download our Chalkboard PowerPoint templates with clear instructions of folding with different color labels that will make your job of creating interesting Hexaflexagon toys for kids easier. 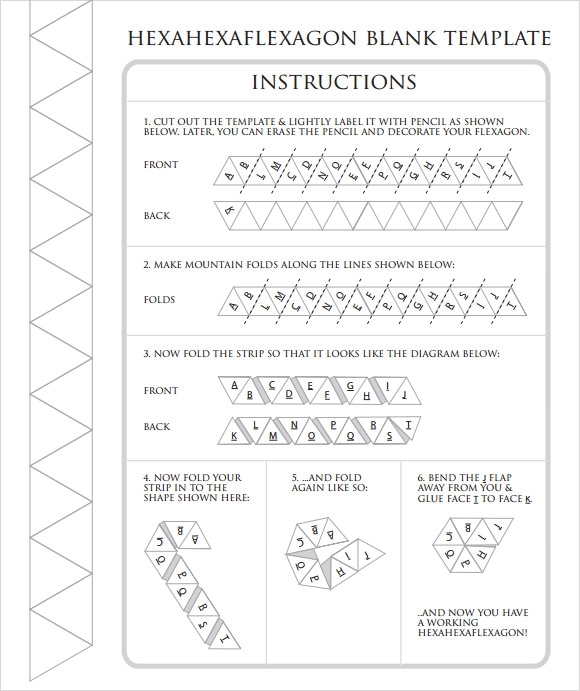 You can use these for playing an interesting game with kids that will involve completing some tasks that they choose on the Hexaflexagon and the same time helping them learn something through the tasks provided. 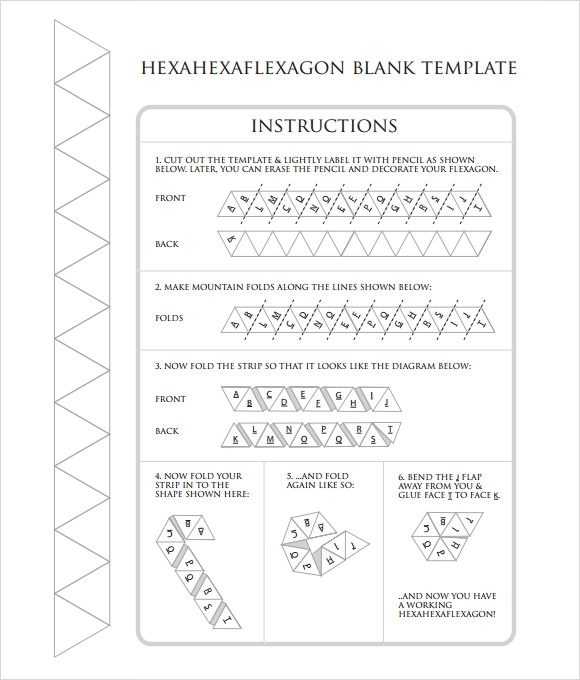 These templates are available for absolutely free in various categories like trihexaflexagon, tetrahexaflexagon, pentahexaflexagon etc. 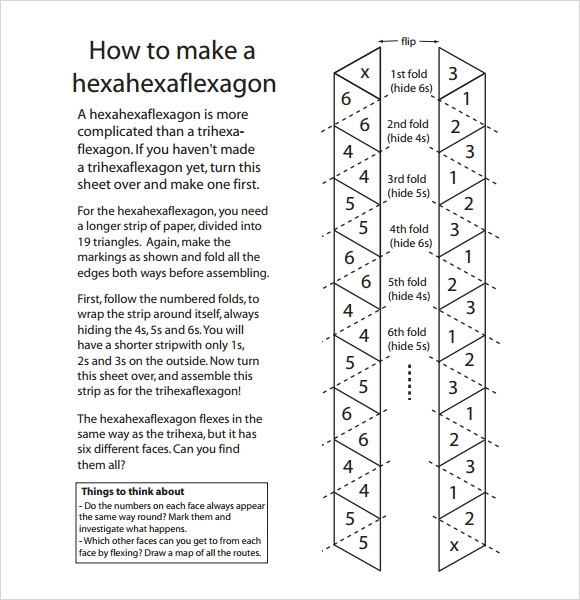 You can choose to print them in word or excel format and design any kind of Hexaflexagon on your own.